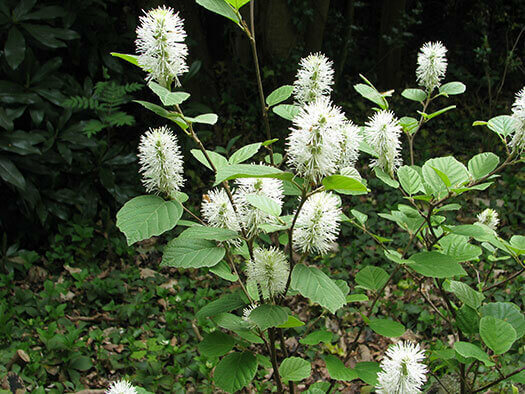 Fothergilla major - Mountain Witch Alder is a small round deciduous shrub with light green leaves in spring and dark green leaves in summer. Known and loved for their foliage, it turns a brilliant red-orange in autumn. White bottle-brush flowers appear in spring about 5cm in length. Great pot plant or just in the garden.